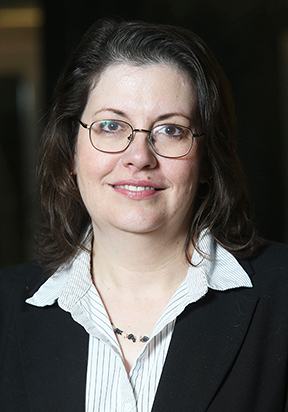 Dr. Beth Hall became the new Indiana State Climatologist on 1 March 2019. With over 25 years of experience in climate services, she is looking forward to coming back to the state where she began her education in atmospheric science to better serve the climate needs of stakeholders across the state. She began her career majoring in physical geography at Indiana University with an emphasis in meteorology. Always interested in severe storms research and the weather, Indiana provided some of her favorite weather phenomena such as nocturnal thunderstorms, tornadoes, and significant snowfall events. She then moved to Reno, NV to work on her Master’s degree and ended up staying over 11 years to pursue her interests in climate services and research relating climate trends, patterns, and variability to wildfire activity across the western U.S. After completing her PhD and serving as an associate research scientist at the Desert Research Institute in Nevada, she decided to pursue a more academic path that led her to the University of New Hampshire to be both lecturer and the New Hampshire State Climatologist. A tenure-track position at Towson University drew her to Maryland in 2008 where Dr. Hall developed a minor in meteorology and an interdisciplinary program with journalism for those interested in pursuing a career in broadcast meteorology. In 2012, she became Director of the Midwestern Regional Climate Center– one of six federally funded climate centers across the US — at the University of Illinois. There, she led efforts to engage with stakeholders directly to identify their climate needs across the 9-state Midwestern region. This led to the ongoing development of value-added climate services (e.g., maps, resources, reports, value-added climate data tools) and research for a broad range of end users. Her research interests include applied climatology and improving climate services and outreach to a broad range of stakeholders. With climate impacting nearly every aspect of our lives, Dr. Hall is interested in investigating historical climate trends and spatial variability that will provide new knowledge to non-meteorological fields and developing operational climate resources from which stakeholders can benefit.